Today Spotify announced that it is cutting its free service to just 10 hours of music a month, and you can only listen to the same song 5 times a month. Even worse, this is going to affect ALL free users to the service, not just new ones. Well obviously your first choice is to upgrade. For £4.99 a month, you get unlimited ad-free music, I think it is a bargin and have been a subscriber for some time. However, a lot of people will simply not want to pay, but can you go back to a time before Spotify? Well I certainly couldn’t! So perhaps, as Spotify turns it back on its free subscribers, it is time for them to turn their back on Spotify! Firstly, we could return to our old friend Last.fm. Although it has gone down hill since its introduction. Last.fm builds up a profile of your music taste, and then the player plays songs that it thinks you will like! Also you can select a “radio station”, and then it plays songs by that, and similar, artists. 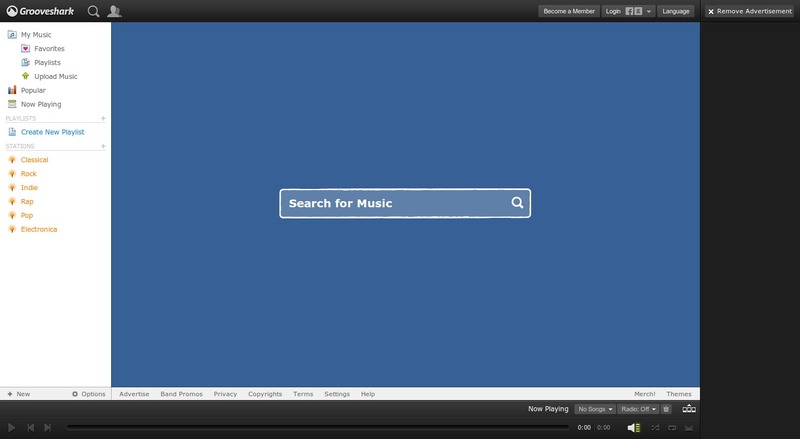 However, since last year the feature to search and listen to a song has been removed. So now you can only hear a song in full if it happens to come on “the radio”. This obviously isn’t a direct replacement for Spotify, and won’t satsify a lot of users needs, but it certainly is nice when you can’t be bothered to choose what music you want to listen to (it is much better than Spotify’s radio feature). 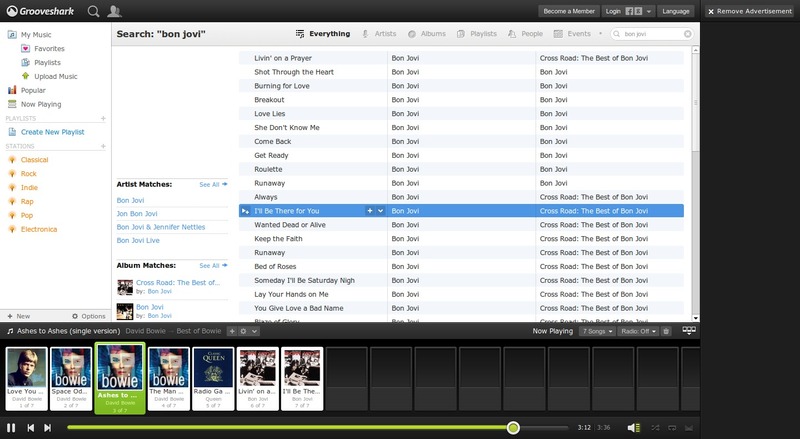 Secondly, and in my opinion THE best replacement option for Spotify, Grooveshark. No need to download a program, (you don’t even need to register!) this runs straight from your browser. What is great about Groveshark is, there are no audio ads and no listening limits!! There are ads in the form of banners, but who cares about those, you are getting unlimited free music in return! Of course there has to be a downside, and that is the music selection. There is an awful lot of content, but it is no where near as well organised as Spotify. This can be annoying, especially when you click on an album that you want to listen to and only half of the tracks appear! But none the less, this could be just what you need to replace Spotify with! EDIT: For other non-Spotify options there is an excellent article over at TechRadar. This entry was posted in Internet and tagged Grooveshark, Spotify. Bookmark the permalink.